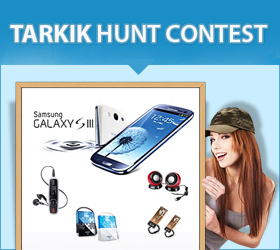 devworx brings Tarkik Hunt Contest! 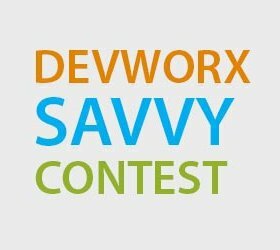 devworx announces Tarkik Hunt Contest! Participate & win exciting prizes like Samsung Galaxy S3 smartphone, Sony MP3 Player, Adata External HDD, Lenovo Mini Speaker, Silicon Power pen drives, Digit branded polo t-shirts, Digit Subscriptions and many more. 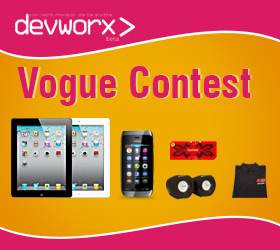 Participate in devworx Savvy contest and you can win Reliance 3G Tab V9A, Micromax Superfone Punk A44, Philips GoGear Mix MP3 Player, Philips SHS 390, Smiledrive Wristband Pen Drive, Digit T-Shirts and many more exciting prizes.